Candidates must check the prescribed Manipal University eligibility criteria before taking the examination. Aspirants who are planning to pursue engineering or any other course at Manipal University must first go through all the Manipal University eligibility and only then fill up the application form. The eligibility criteria are a set of conditions laid down by the exam conducting authority that is based on certain parameters like age, nationality, education qualification, etc. The MAHE prescribes the MAHE MET eligibility criteria for all the candidates who are from India as well as Foreign nationals. After checking the eligibility criteria, candidates can proceed to fill up the Manipal University application form correctly. Nationality – Candidate must be an Indian National. Age – There are no age restrictions to appear in the Manipal University Entrance Exam 2020. Educational Qualification – He/ she should have passed their 10+2/ A-level/ IB, American 12th grade from a recognized Board or University. Passing Marks – Candidate should have secured at least 50% marks Physics, Mathematics and either of the vocational subjects mentioned below. Subjects – Candidates must have taken Physics, Mathematics and English as compulsory subjects with either Chemistry/ Biotechnology/ Biology or any technical vocational subject as optional. Eligibility for Manipal University Counselling – In the entrance exam of Manipal University candidates must score 50% in order to be eligible for counselling. Candidates must obtain at least 50% marks in Manipal Entrance Test. Also, only those who have obtained a rank will be given admission in Manipal Institute of Technology. 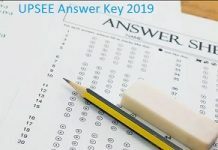 Class 12th appearing candidates of 2020 must make sure that they have obtained their board result on or before the stipulated date. The list of courses in engineering that are offered at Manipal Institute of Technology has been listed below for the convenience of all candidates.